The SRX-101A provides maximum versatility in a tabletop design. 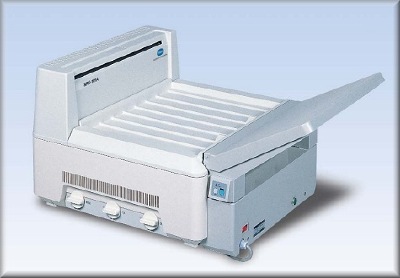 The SRX-101A tabletop processor offers variable speeds which can be set from within the processor. This allows you to choose the optimum cycle speed to match your processing needs. 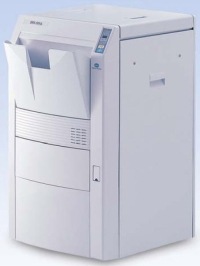 The Konica Minolta SRX-201A is a compact, three speed, mid-volume, super rapid film processor. It is ideally suited for all mid-volume applications, including busy clinics, orthopedic centers and active dedicated mammography. The SRX-201A provides three processing speeds at the touch of a button and an active circulation system for more consistent film processing.